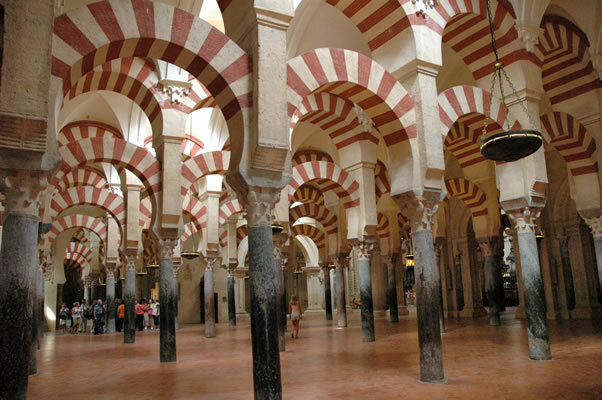 Almanzor's expansion of the Great Mosque of Cordoba was the largest, although not the most beautiful, and served to demonstrate his power. To help finance this, and other projects such as his Medina al-Zahira city-palace (long-disappeared, not to be confused with Medina al-Zahra), he carried out 50 military campaigns which brought back plunder and filled his coffers with tribute from northern Spanish kingdoms. On one of those campaigns, Almanzor sacked the Cathedral of Santiago and had Christian slaves haul its bells to Cordoba. When King Fernando conquered Cordoba in 1236, he ordered their immediate return.